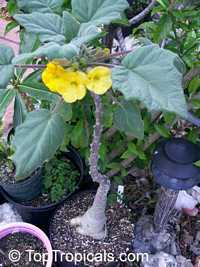 Unusual succulent caudex plant from Madagascar, with bright yellow flowers and soft velvet leaves, pleasant to touch. 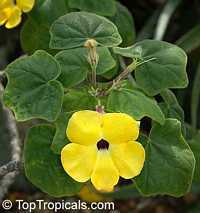 Grows in well-drained soil, and unlike many succulents, prefers lots of water along with full sun. Forms large caudex. 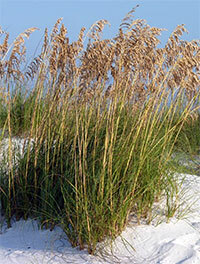 Sea Oats. 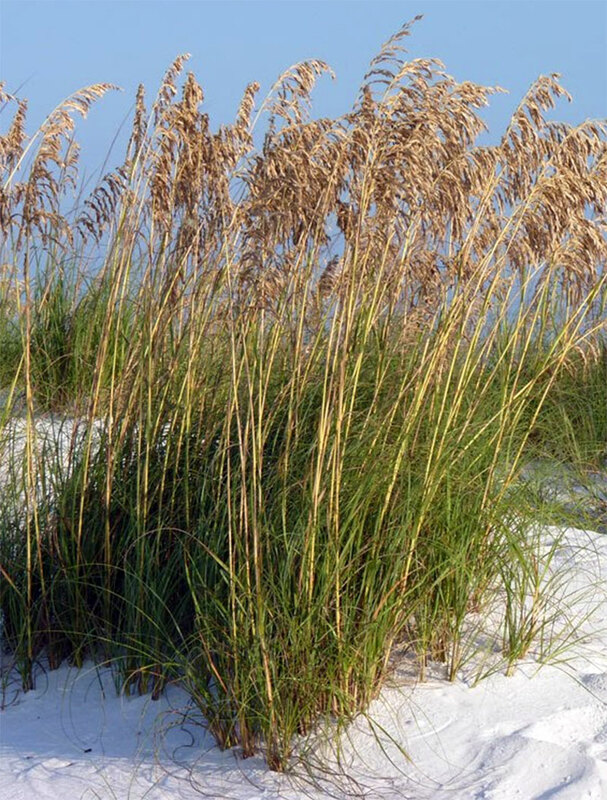 Tall subtropical grass that is an important component of coastal sand dune and beach plant communities in the southeastern United States, eastern Mexico and some Caribbean islands. Its large seed heads that turn golden brown in late summer give the plant its common name. Its tall leaves trap wind-blown sand and promote sand dune growth, while its deep roots and extensive rhizomes act to stabilize them, so the plant helps protect beaches and property from damage due to high winds, storm surges and tides. It also provides food and habitat for birds, small animals and insects. Yellow Mandevilla, Yellow Dipladenia, wild allamanda. 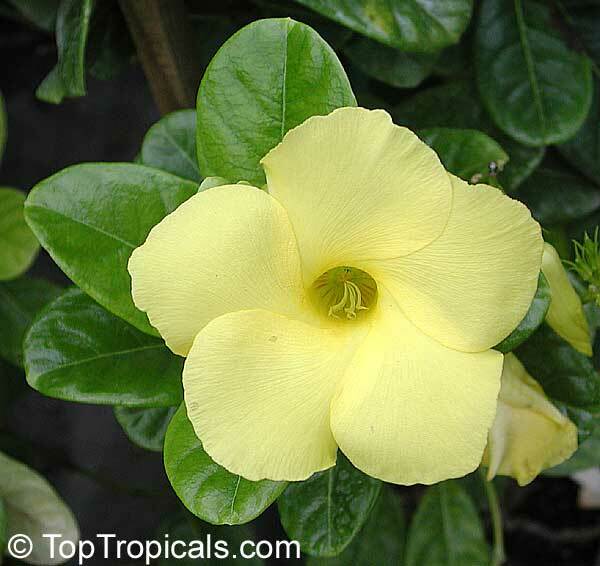 Unusual yellow flowers of this mandevilla relative are slightly fragrant and last for a long time. This is pretty cold hardy plant that can take occasional cold spells. It is very vigorous and free flowering in full sun conditions. Easy care, little water needed and not picky about soils. Much better growing than regular mandevillas!